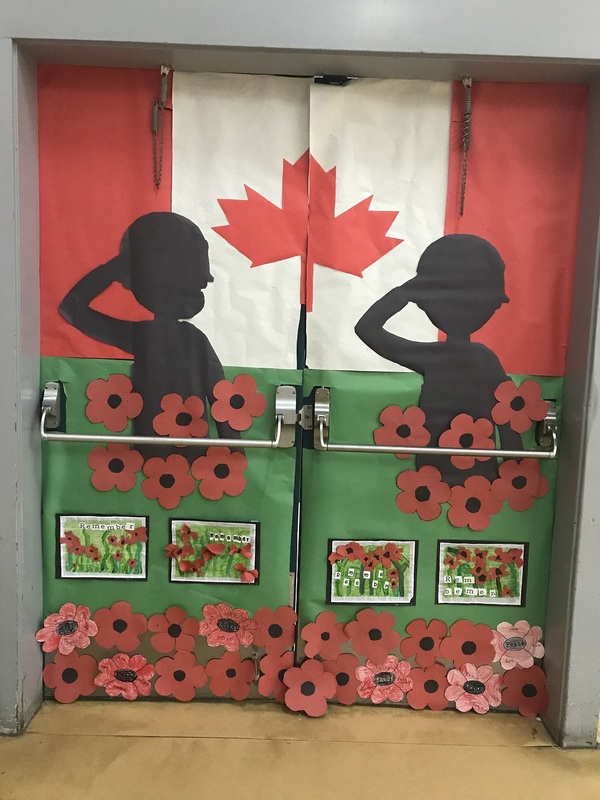 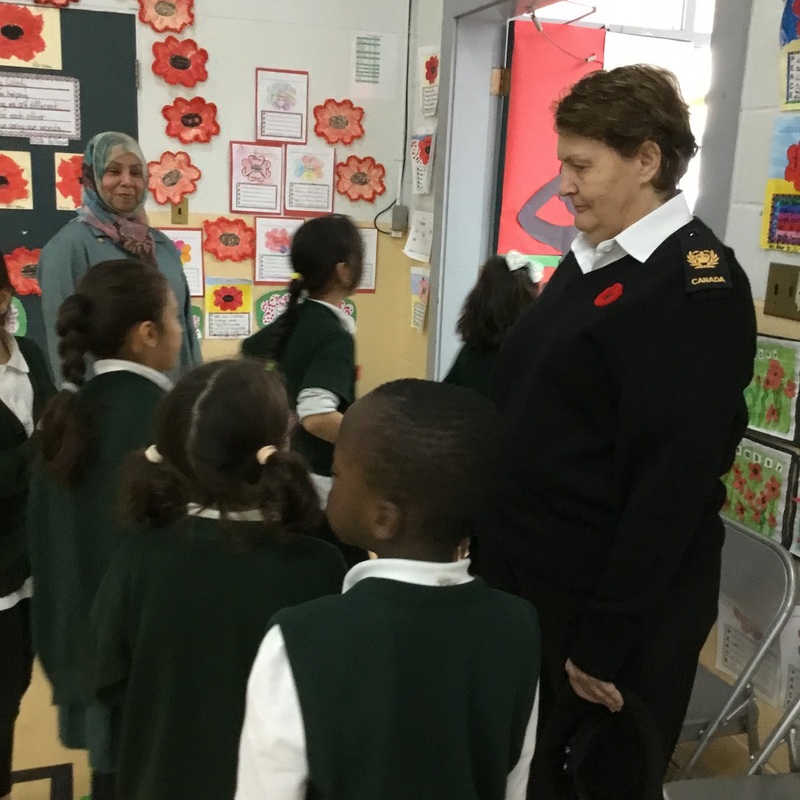 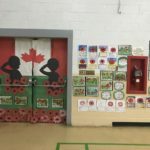 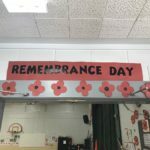 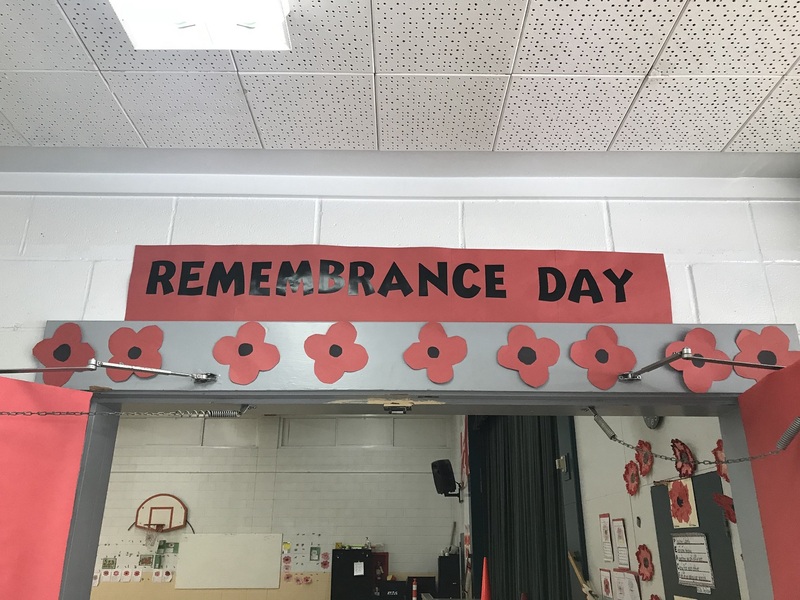 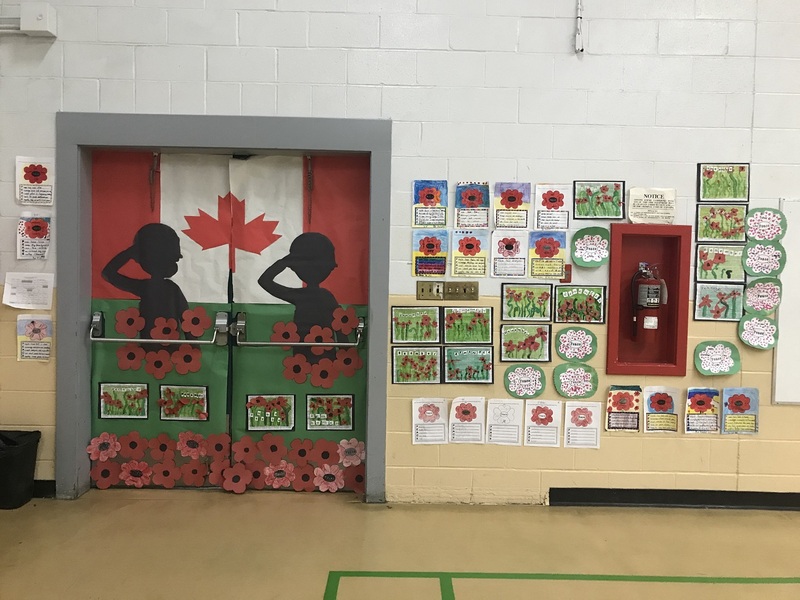 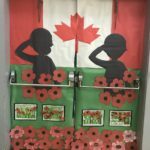 November is an important time of year when our classrooms are filled with heartfelt discussions and lessons about the meaning of Remembrance Day. 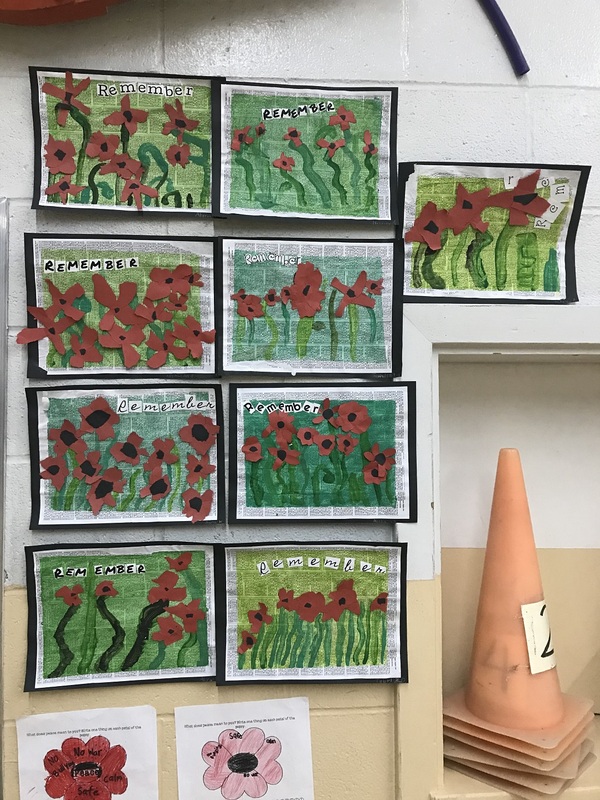 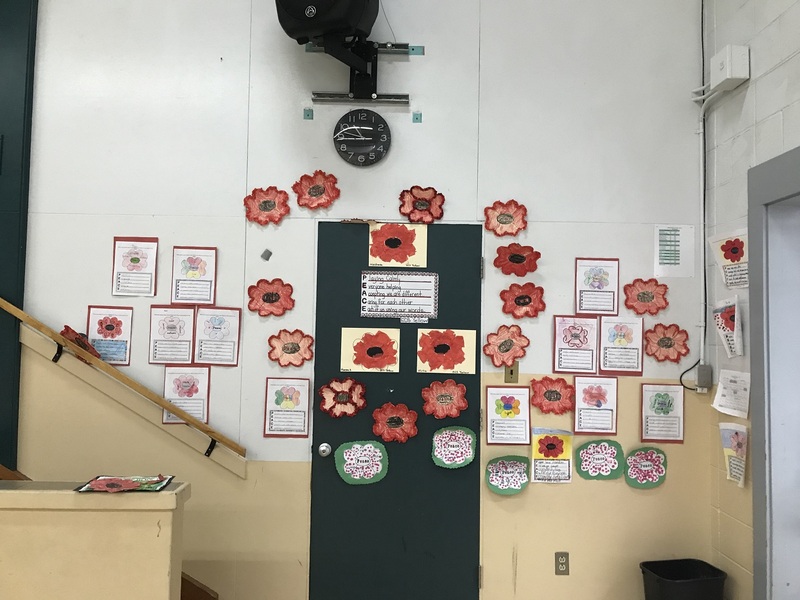 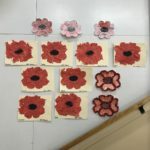 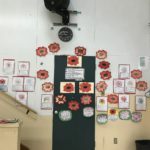 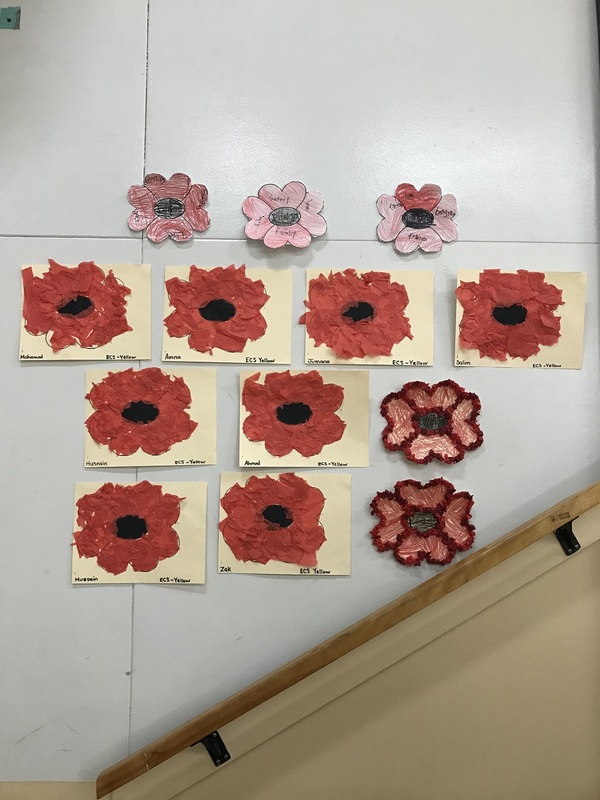 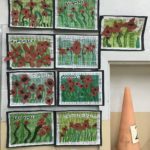 Students took the time to write reflections and poems, as well as create beautiful poppy artwork to commemorate the people, past and present, who sacrificed their lives and fought for our freedom. 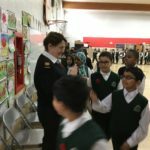 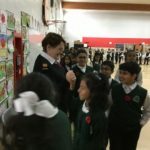 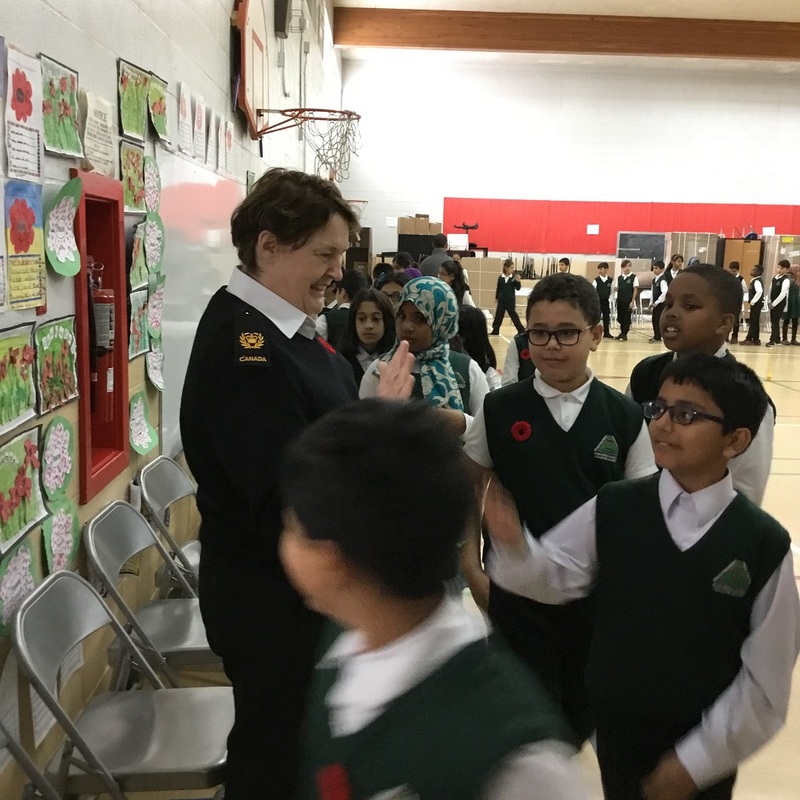 On November 9th, Mountain View Campus held our annual Remembrance Day assembly where we witnessed many powerful performances and hosted a special guest; Chief Petty Officer Second Class Dawn Forsyth of the Department of National Defence. 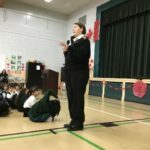 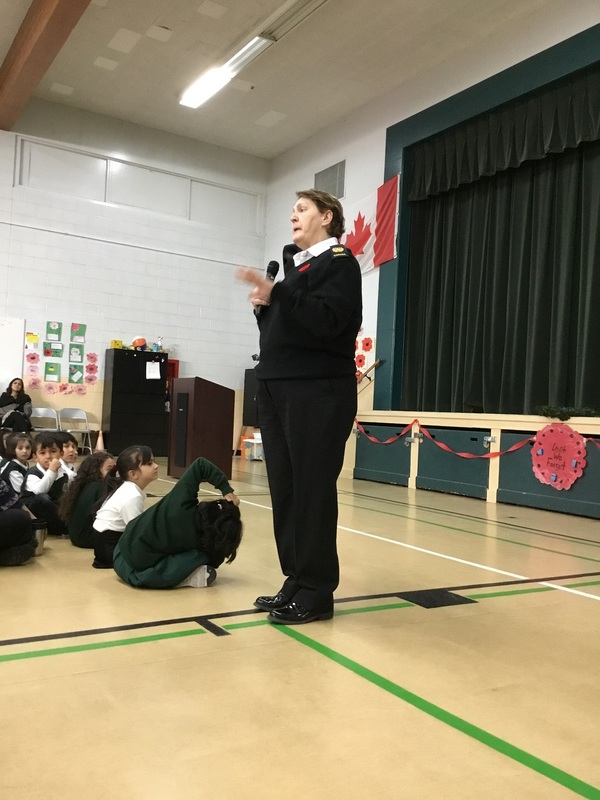 She spoke to our students about the meaning of Remembrance Day and about how lucky we are to live in a peaceful country. 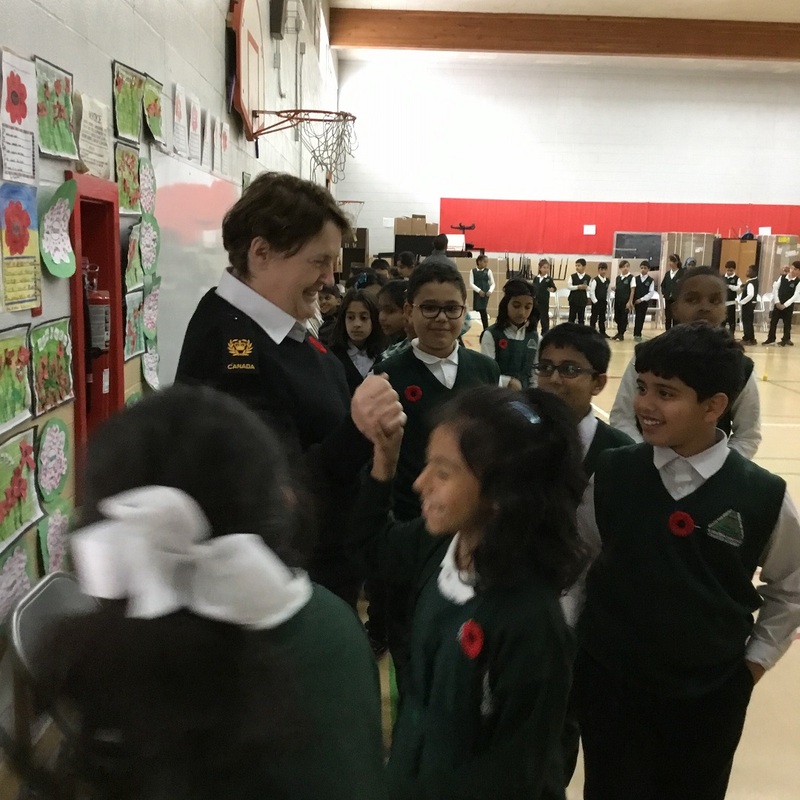 The students certainly appreciated her invaluable perspective and the tales of her experiences as a veteran. 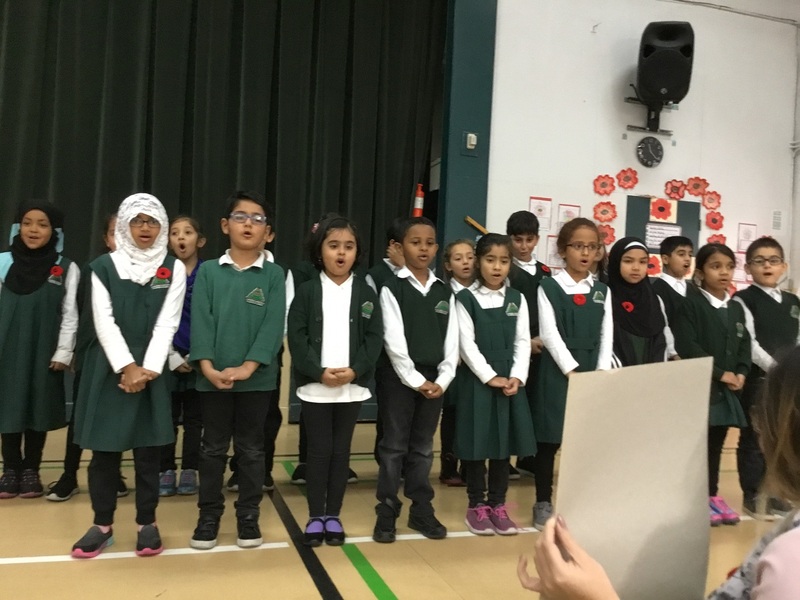 We saw a beautiful and moving performance of In Flanders Fields by Mrs. Bhaidani’s and Ms. Khan’s grade two classes. 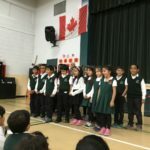 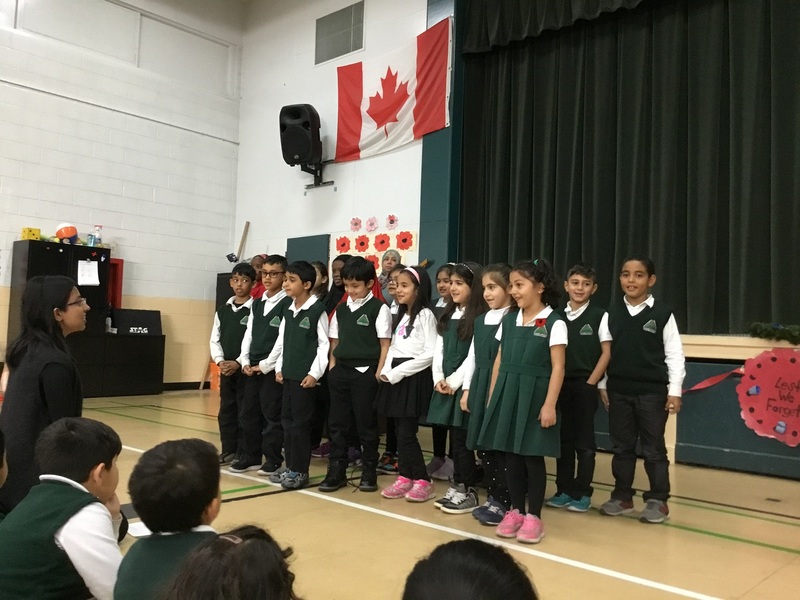 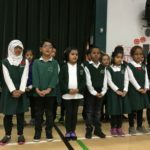 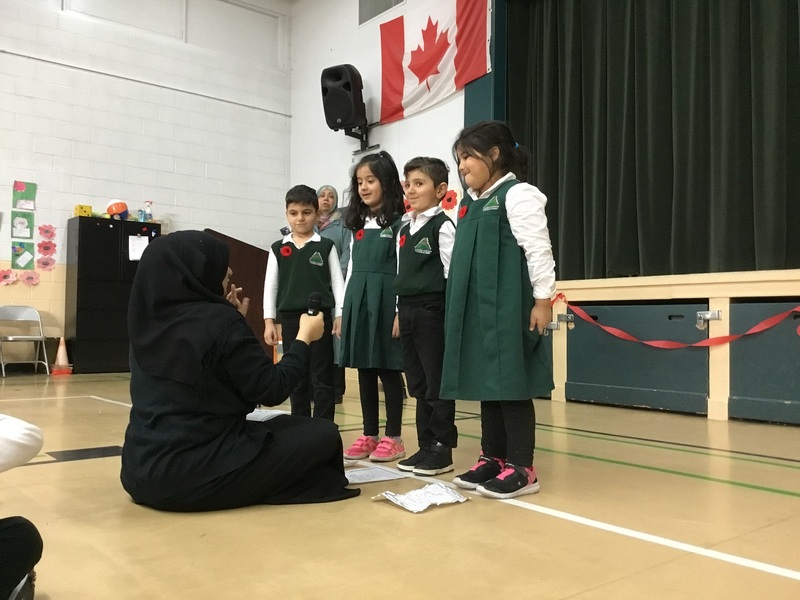 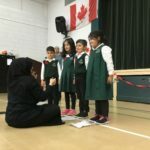 Mrs. Aftab’s grade ones did an excellent job performing the poem Little Poppy. 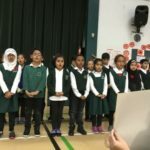 Finally, we had a minute of silence to reflect upon this significant day. 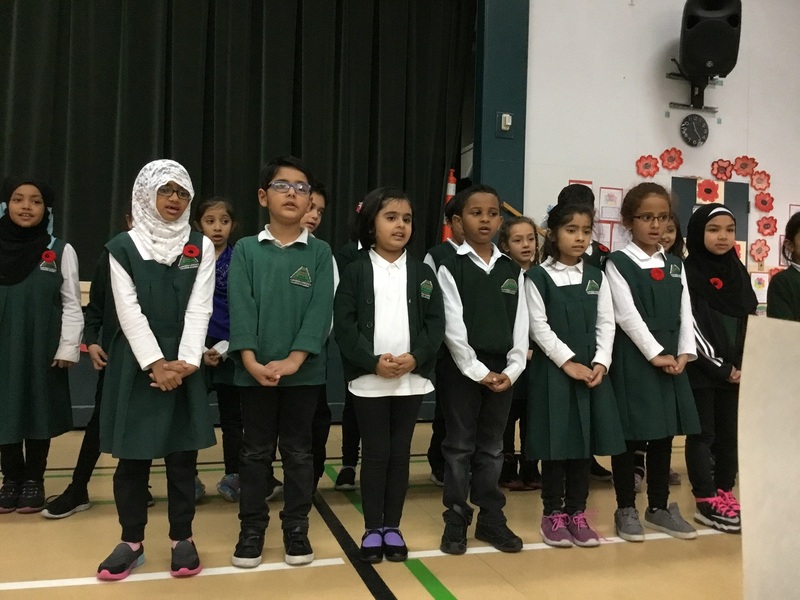 Thank you to the Remembrance day committee, Ms. Hazzard, Ms. Aftab, and Ms. Khan for organizing such a successful and meaningful event.